Grandmom’s kitchen was always a special place to be. I can still remember what it looked like, although I doubt it was really as big as it is in my mind. After all, the last time I was in it I was only eleven years old. There were actually had two separate “rooms” to her kitchen; one where she actually did most of her work, and the other being a huge pantry, complete with sink, electric stove, and numerous cabinets full of all kinds of cookware as well as the typical baking and similar goodies. Canned goods and vegetables were stored in her “root cellar” which you could only access from outside the house (and as a kid, I didn’t venture down there; it was dark and musty-smelling, and just looked scary!). That pantry was also where my mom and my aunts would help out with the family meals while Grandmom worked in the main kitchen. 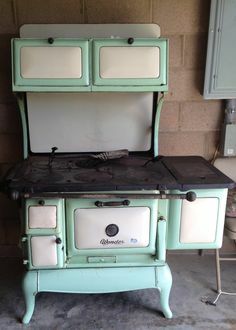 But what I remember most about Grandmom’s kitchen is the big old woodstove she had against the middle of her back wall in the main kitchen area. The pantry room had been added on many years after the original house was built, but Grandmom’s original kitchen was the heart of her home. And that old woodstove was the heart of her kitchen. I cannot even imagine how many meals she cooked on that stove. And the stories that old stove could’ve told….. When my mom and her four brothers and sisters were growing up my grandfather was working his farm every day, and had several hired hands helping him. In those days, the farmer’s wife cooked and served lunch for everyone. My grandmother was no exception, and although I don’t really know how many men Granddaddy had working for him, I’m sure that on most days there were at least four or five extra mouths at that lunch table, so that woodstove got a workout! I can’t even begin to imagine how many huge kettles of jams and jellies were made on top of that stove. How many “messes” of turnip greens were cooked up. Plus I’m sure there were lots of cast iron skillets full of cornbread baked in that oven. And, since they were a farming family who raised hogs and chickens along with corn, potatoes, and soy beans, this memory wouldn’t be complete without mentioning how my grandmother used to fry up the pigs’ ears and pigs’ tails for my youngest aunt when she was a little girl. To me it sounds awful, but my aunt said they were delicious! I’ll just take her word for it. I cannot imagine the skill it took to prepare a meal on a woodstove. There was virtually no way to control the amount of heat, either on the top burners or in the oven. How in the world my grandmother managed to bake pies, cakes, and cookies without burning them up or ending up with a glop of under-baked dough, I have no idea. But I’m sure that’s why a lot of her handwritten recipes that I still have don’t have an oven temperature on them, or a cooking time! She just knew what to do. How she was able to fry chicken and pork chops and have them turn out juicy and golden brown, I cannot say. (I can’t get them to turn out well on a modern gas stove!) Roasting a turkey or a chicken in an oven where you can’t control the heat? I have no idea how she did it, but she did! And this made me start thinking even further. How in the world do you actually manage to cook a meal on a wood stove? You can’t just turn on a burner and cook some vegetables or scramble some eggs. The fire has to be started, stoked, and established. Depending on what you wish to cook, you have to somehow adjust the heat accordingly. Not an easy thing to do, since it’s very difficult to control a constant temperature. Wood needs to be added continually or the fire will go out. It’s a matter of trial and error guesswork, in all honesty. Grandmom didn’t use that stove very much by the time my cousins and I were growing up, since she had her other one, and the woodstove was quite a bit of work to keep operating. But we always begged her to make us toast in it when we came to visit. That stove made the very best toast I’ve ever had! There was just something so special about the flavor of sliced bread toasted in that oven and then slathered with real butter; I can’t describe it. I’ve tried to duplicate it many times, but you just can’t re-create the flavor that came from that wood fire. 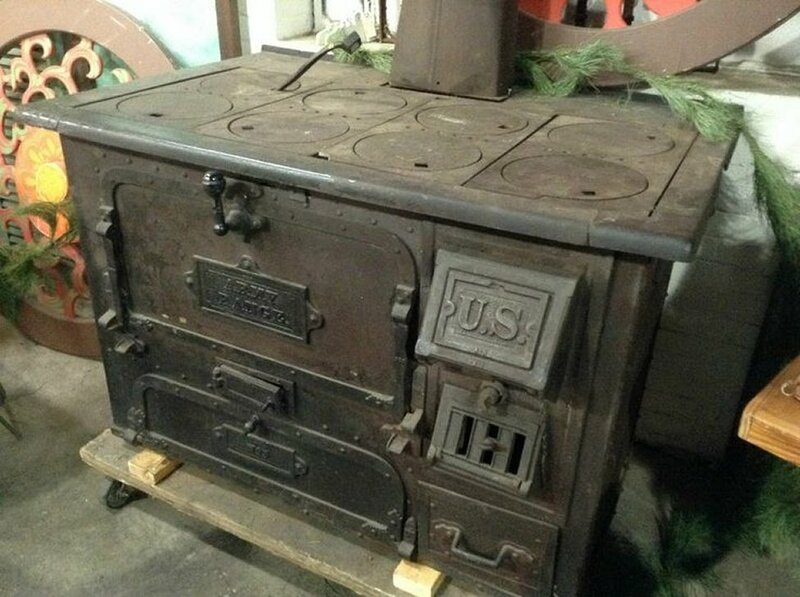 Unfortunately Grandmom’s woodstove was sold along with the house and farm after my grandfather died and my grandmother came to live with my mother and me. I hadn’t thought about this in years, but now I’d really like to know where it went. Not that any of us in the family would have used it as a stove, but wouldn’t it have made a wonderful conversation piece in someone’s family room?